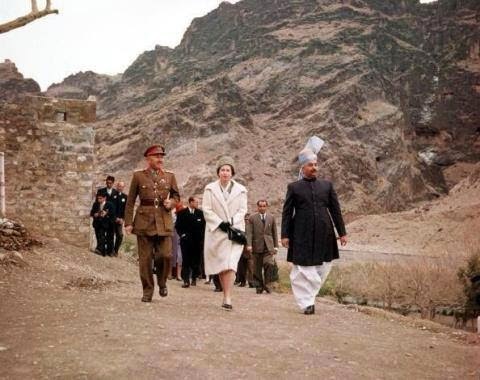 HM the Queen in the Khyber Pass in 1961 - the year I first went to Pakistan - with minimal security. Now a very dangerous and troubled place. How times have changed.